Xpand IT, a global company headquartered in Lisbon specialised in Enterprise Mobility, Big Data, Business Intelligence, BPM & Enterprise Middleware, has been awarded the status of “Microsoft Gold Partner” for Applications Development. The Microsoft Gold Certified Partner status is the highest level that Microsoft awards and are a globally recognised quality certification. After several successful implementations, Xpand IT becomes one of only a few to achieve the Top Level Gold Competency. To achieve Gold status, Xpand IT had to meet a strict set of criteria that includes completing several Microsoft certifications, staffing capacity and customer references that demonstrate successful projects. Attaining the Gold Partner level was a priority for us to certify our skills and expertise in Microsoft technologies. There is a tremendous opportunity in the market regarding Mobility and Cloud solutions, and we are working actively with our customers in facing those challenges with Microsoft solutions. Also, we believe it is possible to harness their power focusing other platforms too, hence our strategic partnership with Xamarin and being the only Premier Consulting Partner in Portugal. Our objective is to get remarkable results locally and expand our reach to other countries, promoting our Nearshore centre and showing once again that Portugal has great companies capable of world-class results.” said Sérgio Viana, Associate Partner & Microsoft Solutions Lead at Xpand IT. By achieving a Gold Competency, Xpand IT demonstrated the highest, most consistent capability and commitment to the very latest Microsoft technology. These partners have a deep expertise that puts them in the top 1% of our partner ecosystem, and their proficiency will help customers drive innovative solutions using the latest Microsoft technology. In a world where software and apps development is increasingly critical to business success and where companies need to plan for building and deploying apps in a cloud first, mobile first era, we are genuinely thrilled to have Xpand IT achieve this accolade. 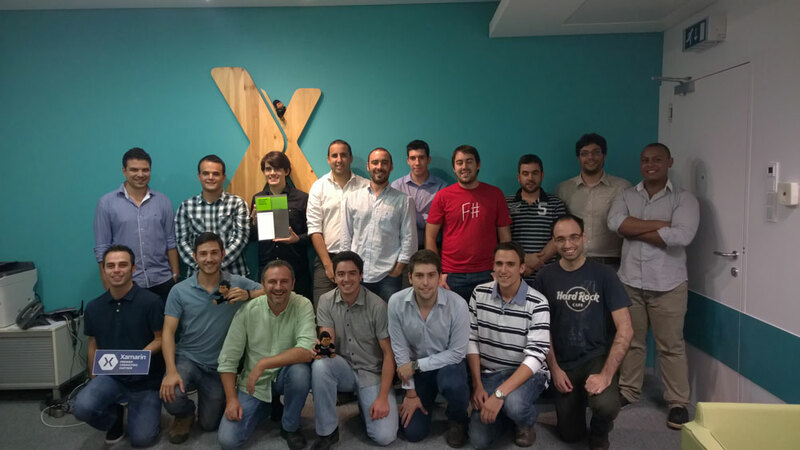 And to see Xpand IT also recognised as a Xamarin Premier Consulting Partner we are confident that we now have a partner capable of helping Portuguese and global companies build truly agile, modern, cross-platform apps!” Said Caroline Phillips, Director of Developer Experience, Microsoft Portugal.